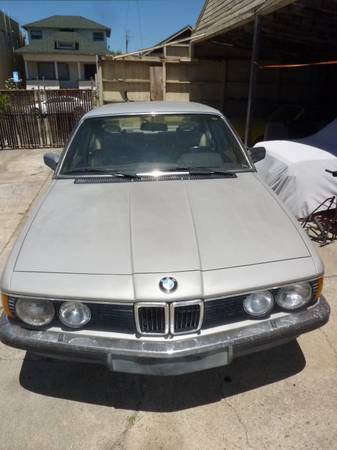 BMW’s E23 745i was the lesser-known big brother to the better-known 733i and 735i. The first turbocharged production six-cylinder from BMW, it was not followed by a similar engine configuration until the N54 turbo six of 2006, with BMW choosing to go the V8/V12 route in the interim. The 3.2 liter turbo six put out 252bhp and 276 lb.-ft. of torque, and was only offered with an automatic transmission. 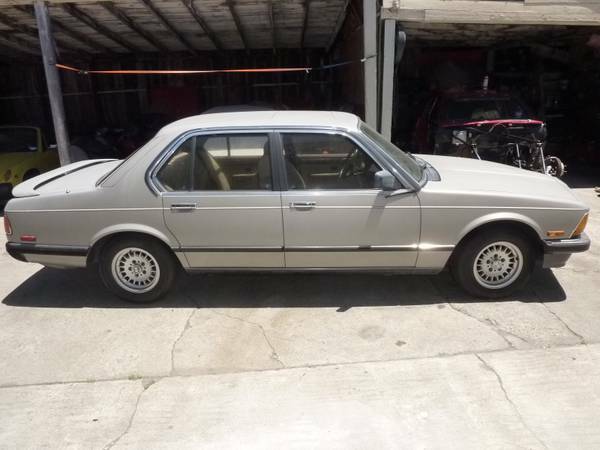 As such, these were the only 7-series to match the output of their E32 750i successors – check out this 1985 BMW 745i for sale for $3800 in Emeryville, CA. There’s not much detail offered by the seller of this particular car, but he does say it’s a California-legal, gray-market car, and that it’s nice. Unfortunately, there’s no indication of recent maintenance, when it was last registered, or what its condition is. You can see that it’s had significant sun exposure – the bronzit paint looks chalky, as does the black finish on the rear view mirror. That spoiler needs to go back to the Honda Accord from which it came. The interior is actually quite clean, and barring some cracking on the dash, should only need a thorough cleaning to be in great shape. Of course, critical parts like the driver’s seat bolsters are not visible in the pictures, so it could be worse. 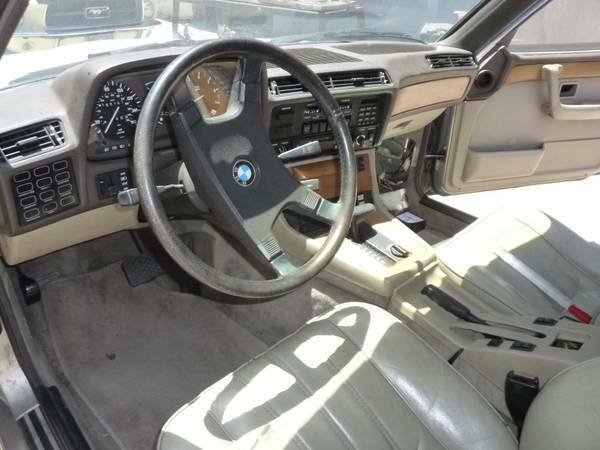 Being top-of-the-line cars, the 745i had all sorts of special options, though it’s hard to see how this particular car differs from a standard car. Those big-and-little headlamps do a lot to give the car a more aggressive look. Is this one still putting out its full 252hp? One of the panels in the passenger footwell has been pulled, leading to questions about the condition of the electronics – hopefully this doesn’t suggest a failing ECU. The lack of detail in the listing means it’ll be hard to say without a visit to the seller – are you interested enough in this luxo-cruiser of yore to ask some pointed questions? This entry was posted on June 26, 2014 at 2:30 pm and is filed under Feature. You can follow any responses to this entry through the RSS 2.0 feed. You can leave a response, or trackback from your own site. The buyer’s biggest concern should be the transmission and radiator on this car; all the little doo-dads will have already failed but they won’t put you on your feet.